Men's gift set personalized and hand stamped. 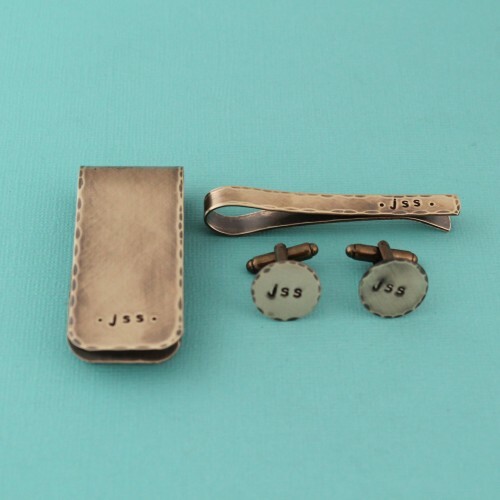 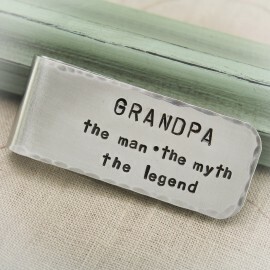 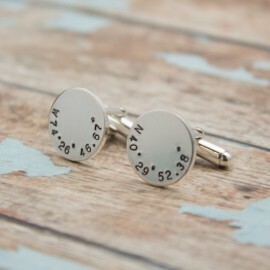 An awesome accessory set for the big day or just a personalized gift for the man in your life. 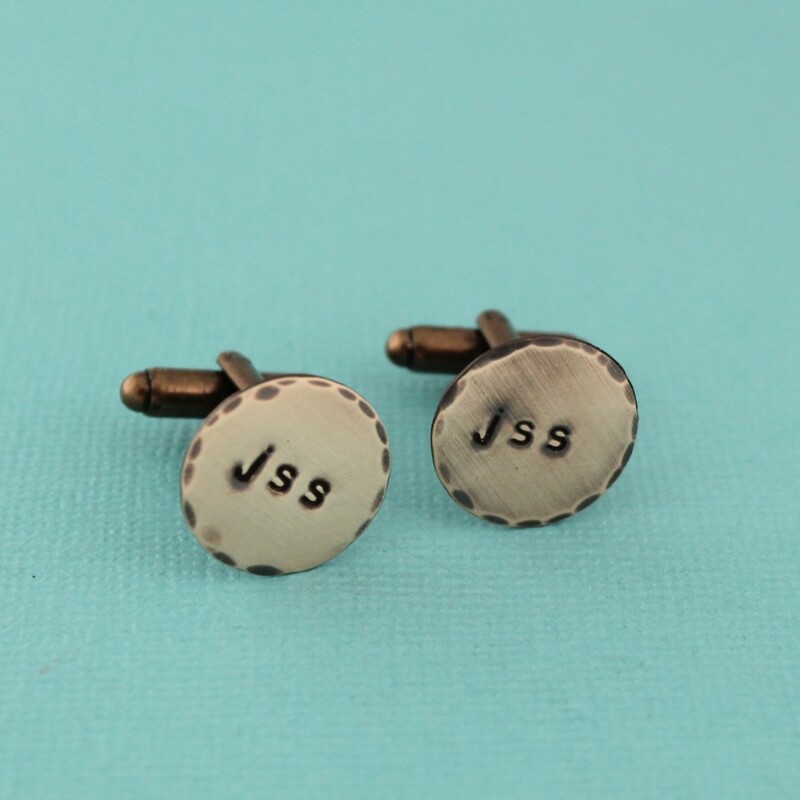 Cuff links, 5/8" in diameter, copper or brass disc with fasteners, money clip is made from copper or brass, 2.5" x 1", and tie clip is made from copper or brass and 2" x 1/4". 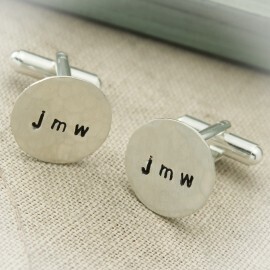 All can are personalized with a monogram but can be personalized with your own words or date. 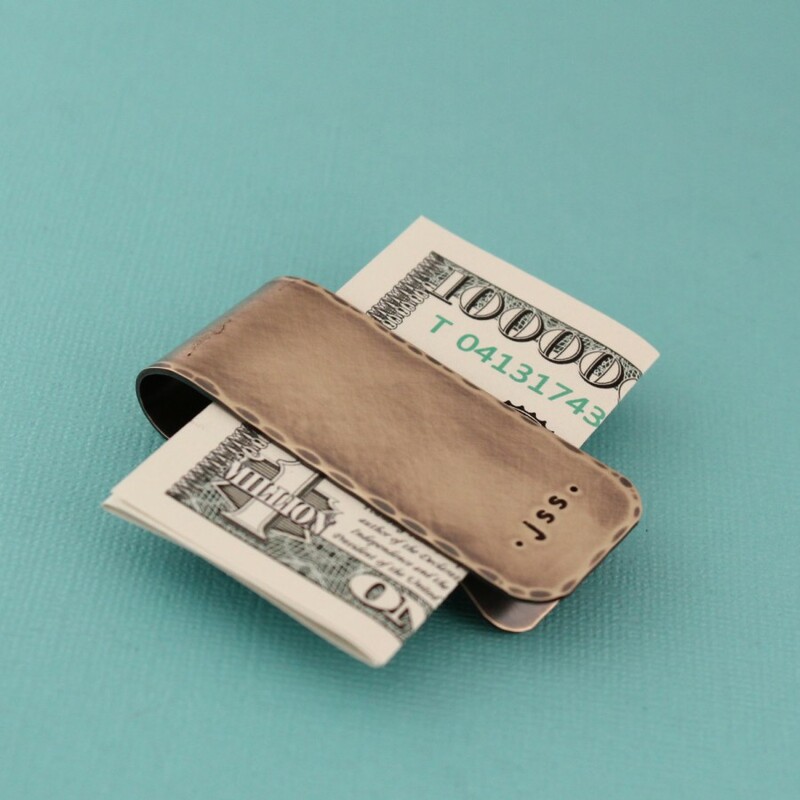 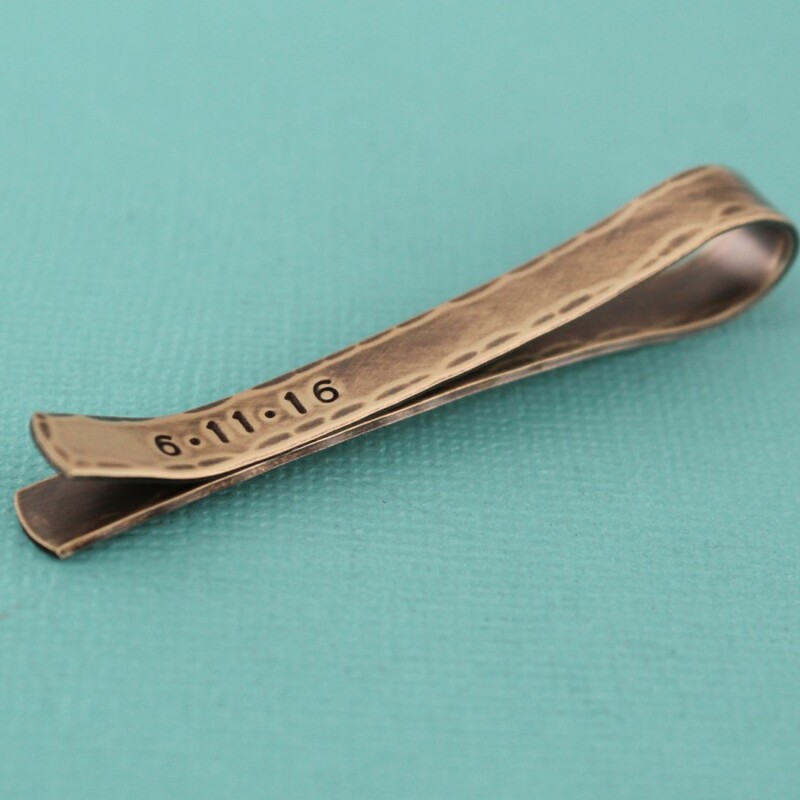 Money clip and tie clip can be stamped on the back, as well. 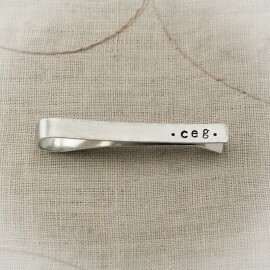 Choose from antique finish with plain or hammered edges. 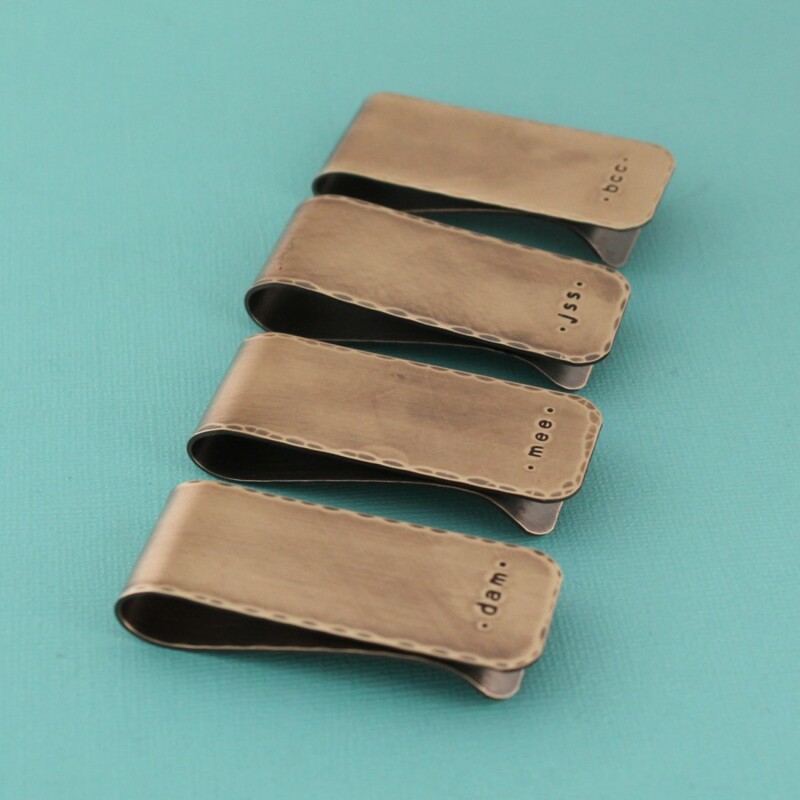 Photo is shown with hammered edges.